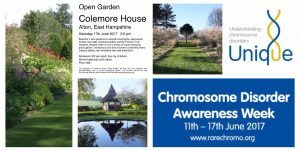 Unique, the rare chromosome disorder charity is holding an Open Garden and meet and greet with staff and trustees at renowned National Garden Scheme garden in Colemore, Alton, East Hampshire this coming on Saturday 17th June. 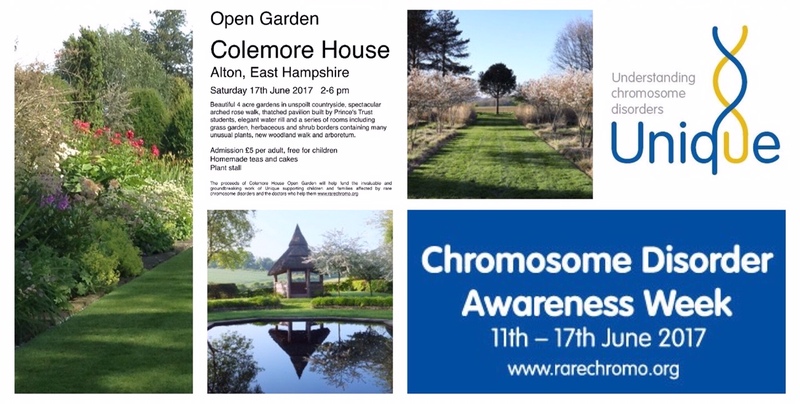 The Open Garden will be marking the worldwide Chromosome Disorder Awareness Week as well as being a chance to see a beautifully designed garden with lots of interesting planting, garden rooms, borders and water features in an idyllic part of Hampshire countryside. Children are of course welcome. Unique is a charity that does wonderful work advising and helping families who have a child with a rare chromosome disorder. Unique helps families with information and support with the many medical and developmental issues that can be caused by rare chromosome disorders. Unique CEO and genetics expert Dr Beverly Searle and garden owners Noni and Simon de Zoete will be on hand on Saturday 17 June 2-6pm with information on their garden, the work of Unique and perhaps most importantly a great selection of cakes and tea as well as plants to buy. 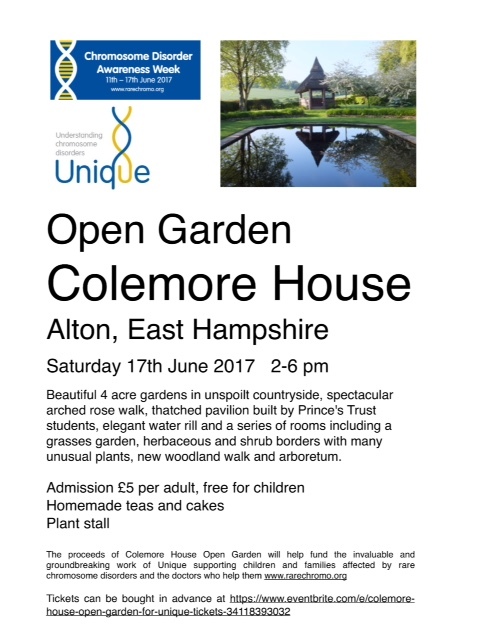 Tickets are £5 for adults and can be bought on the day or in advance at https://www.eventbrite.com/e/colemore-house-open-garden-for-unique-tickets-34118393032. More details and photos of the garden attached. 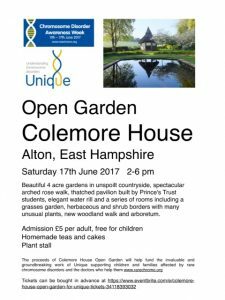 Please do share this with any friends who might be interested – whether families of children with special needs and disabilities or keen open garden visitors. I can’t believe I haven’t done a post about swimming pools in the area yet! I’m putting together a list of swimming schools and classes in the area, and hope to get it published before Christmas! 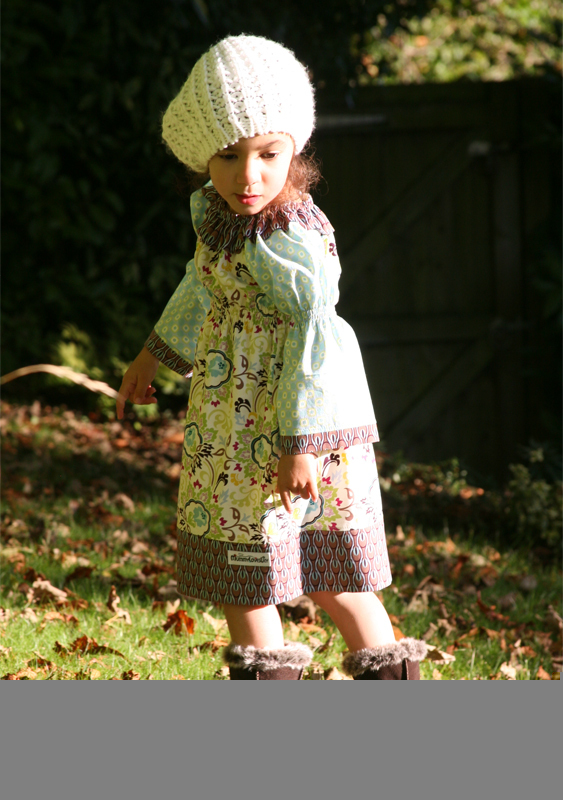 Hello my name is Emma Goodhill-Carter and I am the designer & maker behind MummyLovesLily which offers an adorable range of children’s handmade boutique clothing & accessories for sizes 0-8 years. I am mum to 5 year old Lily and she is the inspiration for everything I do! 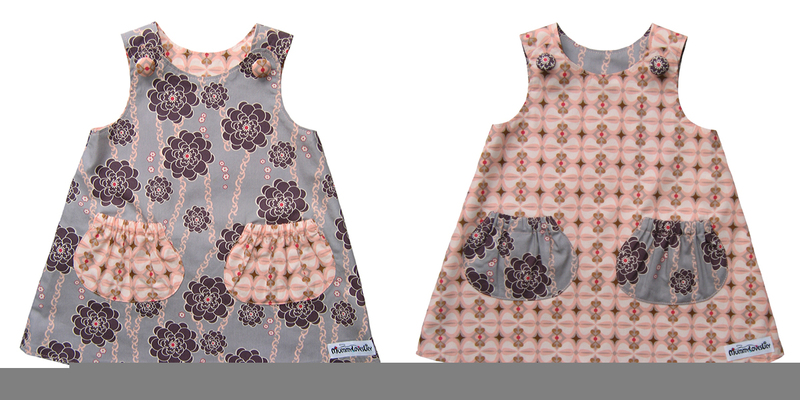 My love of sewing started with the birth of my daughter. Lily was born 3 months prematurely and during our time in the Neonatal Unit she was gifted a beautiful quilt that was kindly donated by the Linus Project. I was fascinated by the quilt and curious to know how it was made, so I booked myself onto a sewing course, bought a sewing machine, attended the course and my love of sewing began! With my new found skills I soon started designing and sewing clothes for Lily. Being so small for her age it was always difficult to find clothes to fit her. I have always had a creative side and designing garments, cutting them and then sewing them together came very naturally to me. We had so many compliments regarding her clothing that friends and family suggested I should start my own children’s clothing business. The idea for MummyLovesLily was born. All of my garments are lovingly “Handmade by me, for you!” at my home in Alton, Hampshire using beautiful designer fabrics and are just perfect for every day, that special day or as a gorgeous gift. 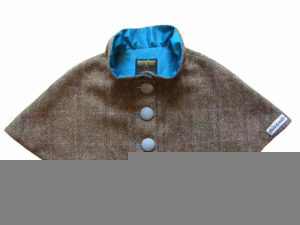 They are designed to be practical yet stylish and can be worn across all seasons. Every design I produce is named after either my daughters friends or people that have a very special meaning to me. 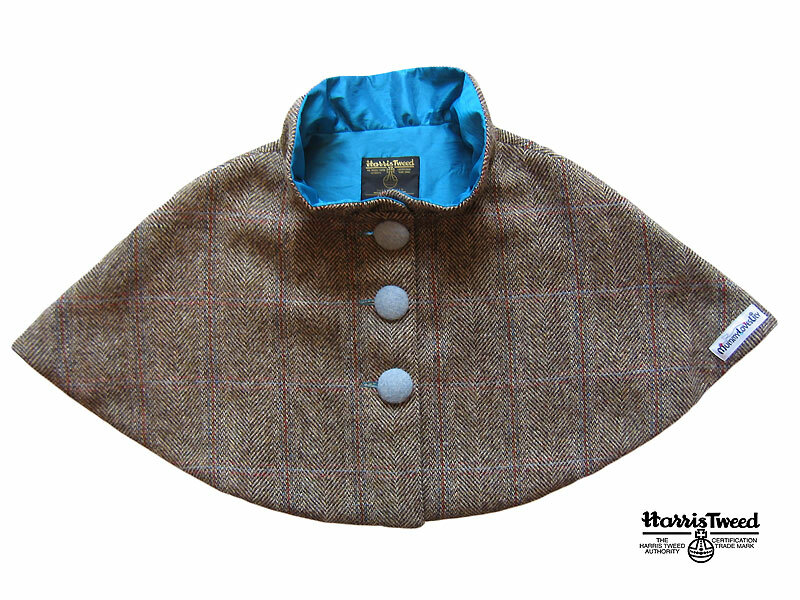 MummyLovesLily is focusing on Art Gallery Fabrics whose premium cotton fabrics are known for their exceptional quality & the iconic Harris Tweed which is recognised as one of the world’s finest fabrics. I offer a range of Dresses, Rompers, Skirts, Tops and Capes that can be handmade in your choice of fabrics and arrive beautifully gift wrapped inside my signature white box. 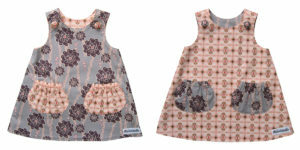 I can be found twice at month at the fabulous Old Spitalfields Market in London or online at www.mummyloveslily.co.uk. You can also follow me on www.facebook.com/mummyloveslily. MummyLovesLily will be exhibiting at the Baby Expo Show on Sunday 24th November 2013 at the Surrey Sports Park in Guildford. Come and find me on stand 58 in Innovation Alley, it will be lovely to meet you! If you have any questions please do not hesitate to email me at emma@mummyloveslily.co.uk and I will be delighted to assist you. I’m always looking for new places to visit. I live by the philosophy “variety is the spice of life!” So I’ve been searching for some new coffee shops to visit. I have my old favourites (Roses Tea Shop and the Tea Parlour) but it’s always good to find some new places. I LOVE It here. I haven’t been in a while but the cakes are awesome and if you are hungry I totally recommend the Farmer’s package. It comes on the cutest cake tray’s and there’s LOADS to eat. You need to book in advance though as it’s so popular now. The best way to book is to phone up. I love the Little Roses Cafe but I haven’t been for such a long time! I hope it’s as good as it was when I used to go on maternity leave. I’ve written about Little Roses before HERE. They used to have excellent baby changing facilities and I hope they still do! Newlyns Farm – just off Junction 5 of the M3. I like Newlyns Farm for a cuppa and a cake. Plus, if the piglets are out, they are great fun to watch! I like the cafe in M&S in Chineham because it’s free parking, the cafe has loads of space and seating and it has very serious air conditioning which is perfect in a heatwave! lol. The men’s toilets also have babychanging facilities which is a plus in my book. The free crayons and drawing paper always go down a treat. We sometimes go here for dinner as they always have a couple of meals on the menu and it’s always really quiet in the evenings. The portions are smaller than average but I quite like this. The meals are quite healthy though and the options for little one’s are good quality meals which can also be purchased from M&S Simply Food downstairs. I still haven’t been here yet, but I hear great things about it. I haven’t been here either! However, the 1950’s cafe looks fab! I’ve been here a few times recently and it’s quite nice but the meals are expensive and the facilities for children are no longer as good as they used to be. It’s nice to go for a cuppa though, especially if it’s nice weather and the garden is open. Another place I haven’t been too but have heard great things about. Lovely concept and great to support the local community. I’ve only been here once but the time I went it was lovely. The food was good quality and the cakes all home made. The novelty factor is the airplane that is coming out of the back of the cafe. Awesome for toddlers who are obssessed with airplanes, like mine is! lol. Are there any other Cafe’s you can recommend in the area? This is the first year of operating the event and we are hoping for great things. The event will have the feel of a summer fete, family event, Bear Festival to ensure that there is a large and varied range of clientele. We are planning to have a bear restoration team at the event, a second hand bear adoption agency, story time and individual make & take workshops for adults and children, amongst many other stands with dedicated bear designers and makers. We are also very fortunate to have Paddington Bear attend the event to celebrate his birthday with us. He will be attending as part of the Medical Active Research charity (www.action.org.uk) who help save and change the lives of sick and disabled children in the UK. It’s half term in a couple of weeks time (18th Feb to 22nd Feb) so I’ve put together a post with some ideas of Half Term events. The events below are happening throughout Half Term week. I’ll update this post as I come across other Half Term activities. Half term at Milestones Museum: Join us for Hampshire’s Half term at Milestones Museum. Odeon Cinema – Adults go free during February 2012 Half Term!